in the waldorf nursery (aka preschool, 3-5 year olds) where i worked, we had several "play ropes". 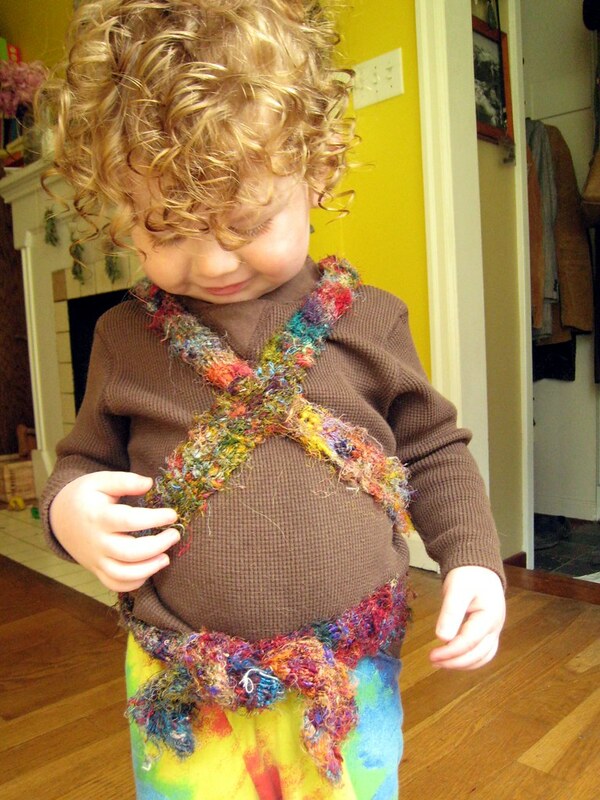 they were simple long knitted lengths that we kept coiled up in a basket for imaginative play. sometimes the children would ask us to make them a 'knight', by crossing the rope across their chest and then around the waist. alternatively: a tail! 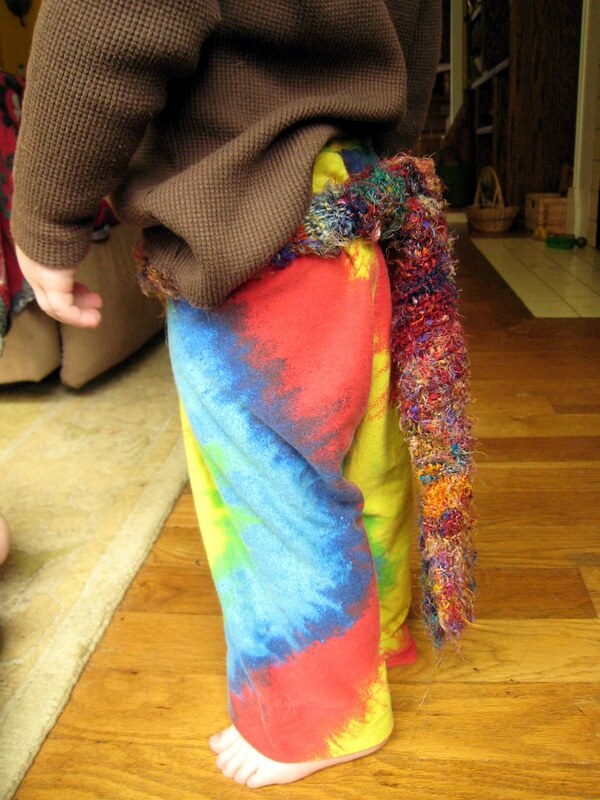 a dog tail, a kitty tail, a tiger tail - any type of tail, really! my rope here needed to be doubled to prevent tail-trippage. colden's favorite: a leash. he pretends to be a kitty and wants to be taken for a walk. this really confuses the dogs. 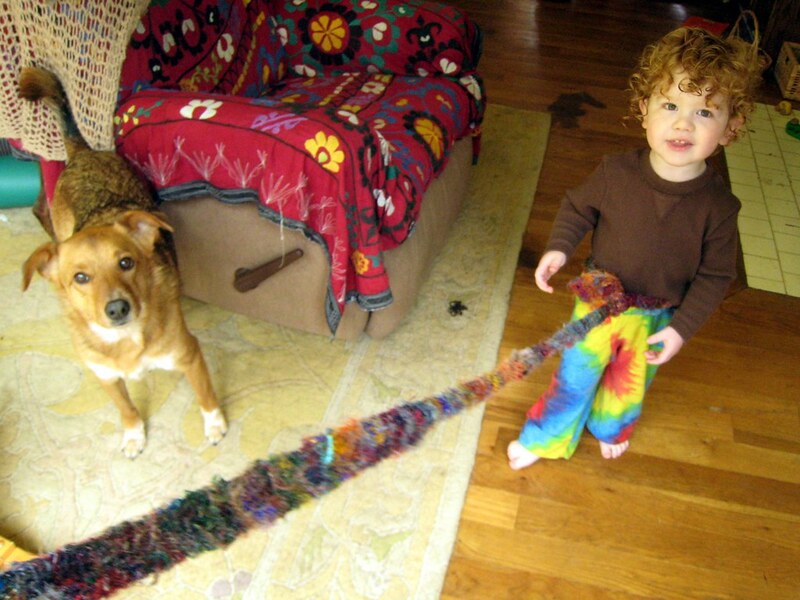 note: no matter how much they beg, do not tie the play rope to your dog. to make: i used my extra short needles (seen here) to cast one on. i did 6 or 7 stitches on a size 8 or so. then i kept it in my purse - that way i was never without a knitting project (nor did i need a pattern)! play ropes are also great for making play silk scenes, where they can be used as roads, rivers, or trails. you may want to make one in blue or green for these purposes. 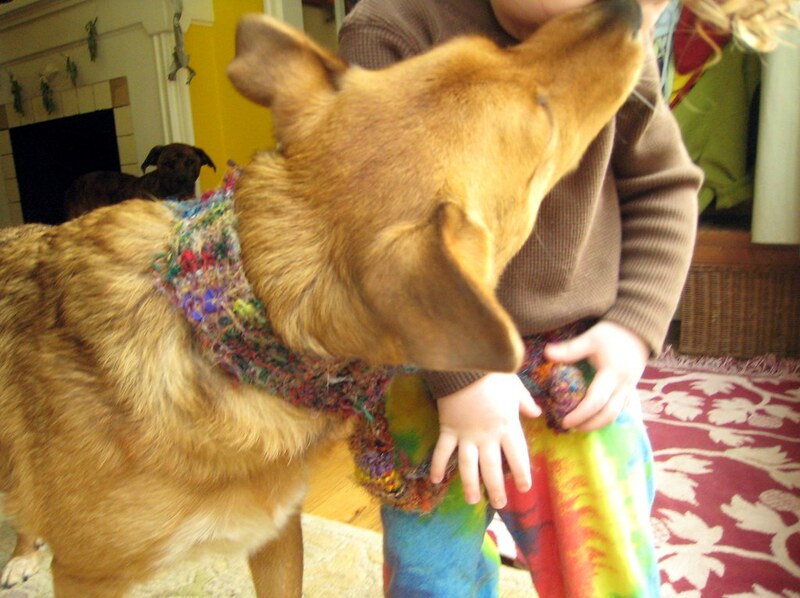 the clean up task of coiling the rope is also a really great skill for little ones! another note: i intend to primarily high light the brightness of our days, but i must confess... lately i haven't found much joy in photography (what with the broken camera). luckily, i found these photos about our play ropes (from june!) to share with you.